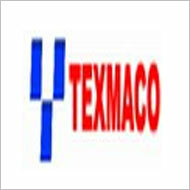 Texmaco Rail & Engineering (Texmaco Rail), one of the leading heavy engineering companies in the country, is eyeing to rope in Orissa Hydro Power Corporation (OHPC) for joint venture (JV) with equal participation. The company has proposed the formation of JV with OHPC to supply hydro mechanical equipment for hydro power, pump storage and irrigation projects. The proposed JV will be mutual beneficial for both OHPC and Texmaco Rail due to combined resources and experience of both the organizations. Also, the involvement of a hydro mechanical company from the start of conceptual work will ultimately benefit the overall project in its timely completion and will also be cost effective.